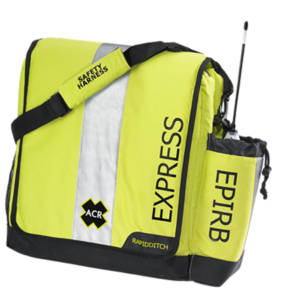 The ACR ResQLink+ PLB (Personal Locator Beacon) is compact and mighty. It is equipped with internal GPS. Most importantly, it is designed with internal buoyancy requiring no external add-on to float. 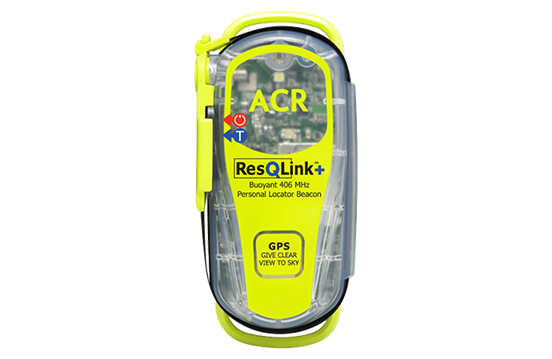 At 5.4 oz and topping just 4.5 inches, the ResQLink+ PLB is both a small and buoyant Personal Locator Beacon. Small enough to be carried in your pocket, clipped to a backpack or stored inside an inflatable life jacket. With three levels of integrated signal technology – GPS positioning, a powerful 406 MHz signal, and 121.5 MHz homing capability – the ResQLink+ quickly and accurately relays your position to a worldwide network of search and rescue satellites. A built-in strobe light provides visibility during night rescues. PLBs have proven their reliability in some of the world’s most remote locations and treacherous conditions. Just ask the 400 or so pilots, boaters and backcountry explorers who were saved by a PLB during a rigorous test program in Alaska. Based in large part on the test results, the federal government approved use of PLBs in the United States in 2003. Two built-in tests allow you to routinely verify that the ResQLink+ is functioning and ready for use – with the push of a button, you can easily test internal electronics and GPS functionality.